Do you get annoyed when you fill in a form and have to enter your phone number even when you know that the company doesn’t really need it? What are they going to do with it? Who will they give it to? 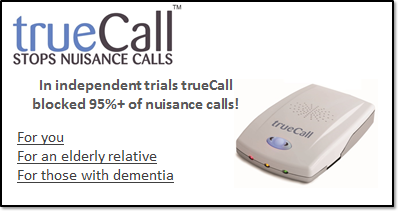 Your privacy is valuable – protect your phone number with trueCall38! by phone, so please contact me via my email address. 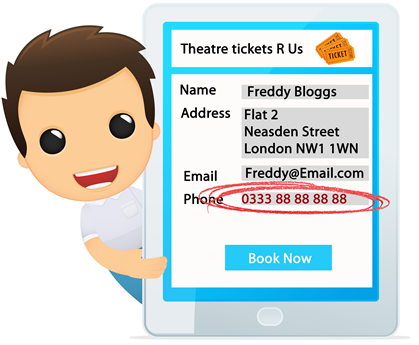 Note: Some online forms are very fussy and won't accept the full trueCall38 number. If the number is rejected then enter 0333 8888 888 (three threes, seven eights). Show the Call Centres who is in charge!